I'll be at a wedding on Saturday and I know that this badboy will definitely be coming with me and nestled safely in my clutch bag. 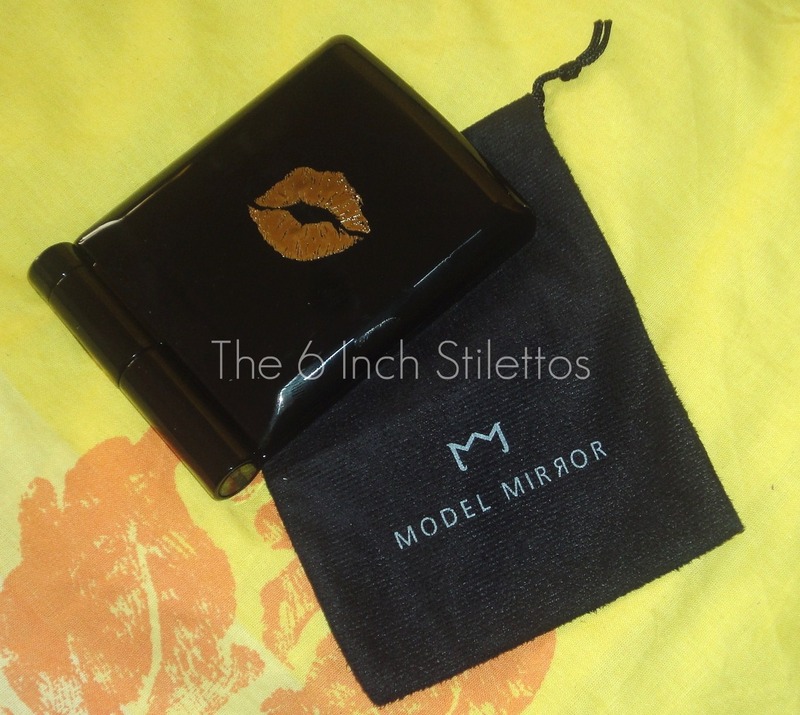 I was sent the Model Mirror in 'Good As Gold' which I love because it's all black with a gold kiss mark on the top. 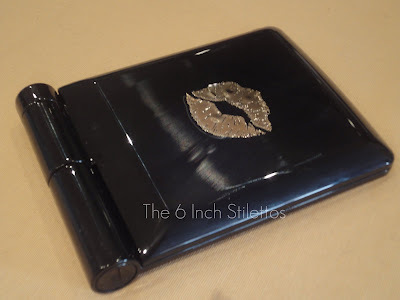 The product itself is actually quite compact and thin which is great as it won't take up too much space in your handbag. 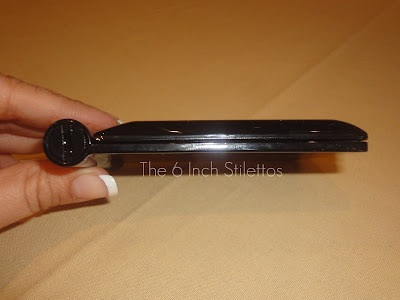 It also comes with a handy cloth case which means it won't get scratched or broken easily. 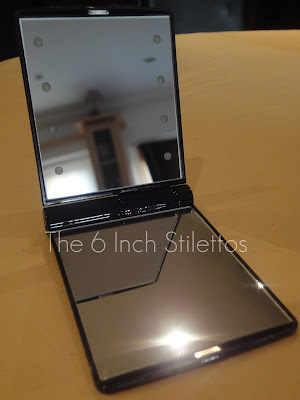 I love the fact that it has a magnifying mirror and a normal mirror because there are times when you might need to investigate that little zit you can feel erupting on your face or to make sure you're still in pristine condition. 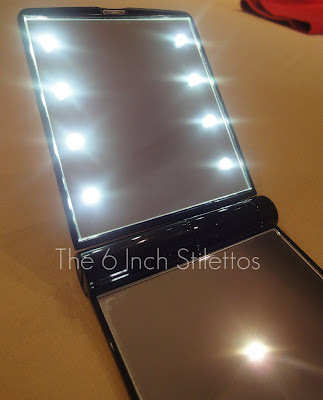 There are 8 little LED lights (4 on each side) are on the magnified mirror side but you can hold the mirror any way you like to make sure you get a good look at your face. I love the little LED lights on the mirror because they make me feel all glamourous and I guess they will have to do until I can get one of those old moviestar dressing tables with lightbulbs all around it... Ahh a girl can dream. 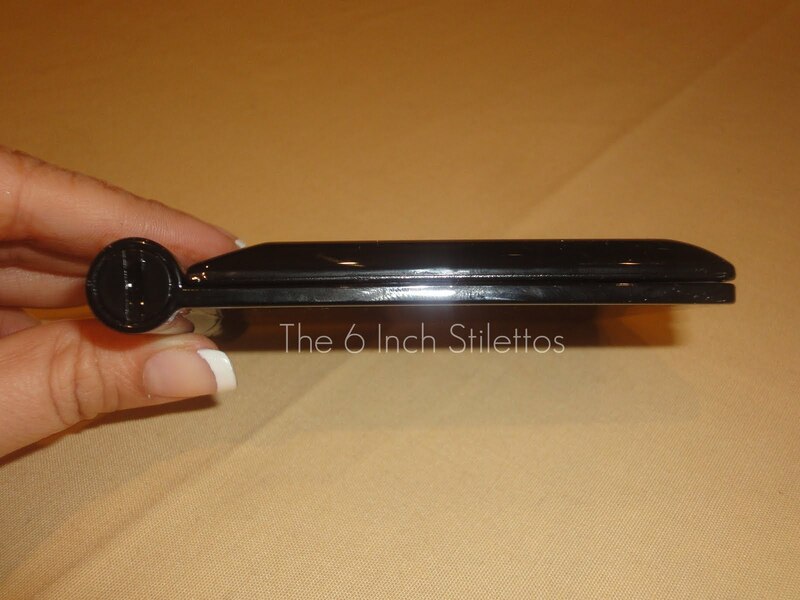 The on/off button for the lights can be found on the side of the hinge of the mirror as is the battery compartment incase you need to replace it. Model Mirrors start from £15.00 and go up to £22.00, which is the price of the one you see above. I think that they are great little products and would even make lovely gifts for friends and family members because there are so many designs to choose from. If you're stuck for a Mother's Day gift, then why not pick up one of the Model Mirrors for your mum and make her feel glamourous every time she pulls it out of her bag?! You can buy Model Mirrors from the Les Tai Tai website or House of Fraser stores nationwide.